Think most businesses don’t need customized marketing solutions? That’s true only if you want to keep your business locked into its past performance, and stunt its growth. Customers have changed, and the way they buy has changed, too. That’s why every business can benefit from customized marketing solutions: A finely tuned marketing program will target your ideal consumer, based on how that customer uses technology and is attracted to products and services. Not only do customized marketing solutions adhere to best practices for generating interest, leads and conversions based on how your customers think, but they prioritize your business’s unique needs and what works for you. 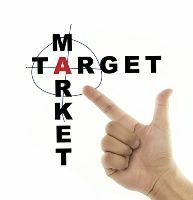 A marketing program that can prioritize both will net a healthy return on investment, or ROI. Before you engage the services of a marking company, however, you’ll want to ensure that the company indeed customizes its program. A cookie-cutter approach to marketing will most likely fail, if it doesn’t take into account the particular needs and wants that your industry requires. While you’ll often pay more for customizable services, the payoff is well worth it. Targeted geographic and demographic campaigns. We’re able to customize our highly effective programs for each and every company through high-quality technology and marketing solutions, such as customer database management, email marketing, cross-media marketing, and direct mail programs. And we know how to get results for businesses in a variety of industries. Since 1973, we’ve been helping businesses in the automotive, bank, contractor, credit union, HVAC, mortgage, real estate, financial and title company industries, among others. Interested in finding out how Continuity Programs’ customized marketing solutions will effectively target your market niche and consumer? Contact us today. We serve more than 20 industries, and our expertise can benefit your business. Our specialty? Creating customer loyalty and retention and generating high-quality leads through our turnkey, customized marketing solutions.